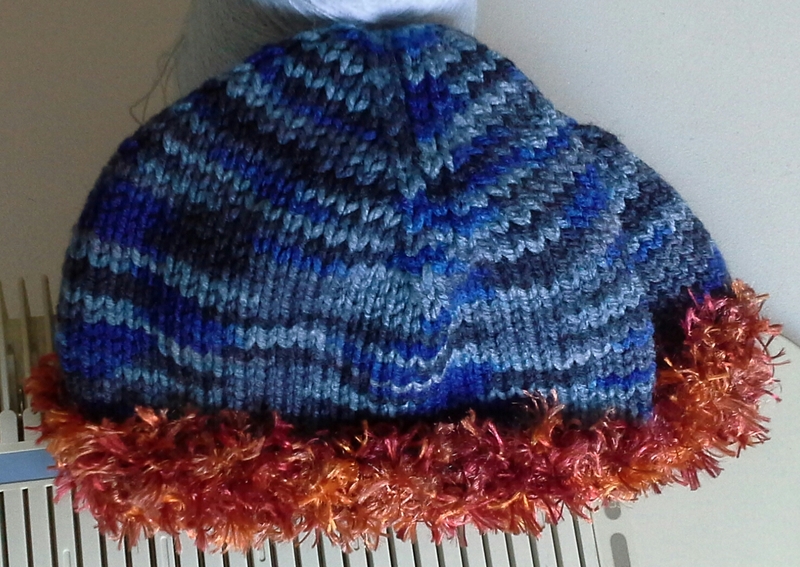 Okey dokey, I'm workshopping a hand knit beanie pattern, Two by Two Basic Beanie to a machine knit version. The designer, Kate Gondwana, has given me permission to use her stitches and cm, which I've converted into rows, with the understanding that I'll link them to this blog post. Thank you Kate, having your numbers makes my life easier. My midgauge is a KX350, but I'm sure SK860, LK150 etc users can put their own 8ply/DK yarns to good use, with the added bonus of using up some of that fluffy yarn that people seem to think I need their mistaken buys in days gone by. T5: The sts and row measurement conversions are taken from the Two by Two pattern for overall size, with Ravelry user HybridSJ's Quarter Crown for midgauge machines. The quarter crown hat pattern will be issued by HybridSJ, but it's not yet. I'll link it when it's done. 2nd size: 80 sts - not needed this time. 4th size: 96 sts +2sts . 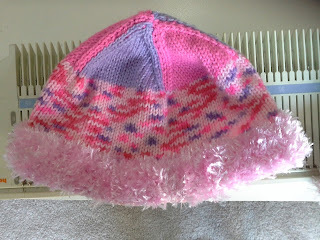 Pink fluffy T7 and purpley/ bluey/pinky mottle. 6th size: 112 - olive green. Could reduce the rows before crown by 12 if no turn up is needed. A 2x1 relatched rib - hung hem would be better, not worth the bother of relatching IMO. 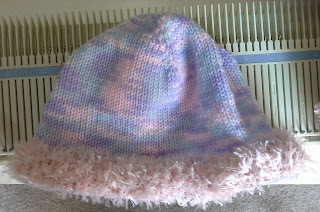 or double for hung hem but -1 RC, do +1 or 2MT then RC000 the either same yarn or I did an extra two rows on fluffy yarn, it didn’t seem to have the stretch - maybe do at MT+1? next time? It certainly did use up some scraps. In the end I liked the mock rib best, no extra rows needed. 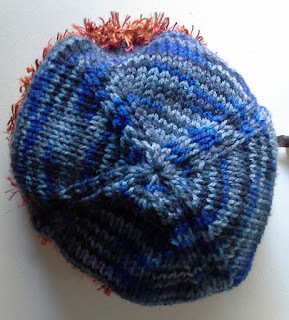 Continue to RC: 28,34, (38, 42,) 50, 52 RC, where we leave Kate's pattern. 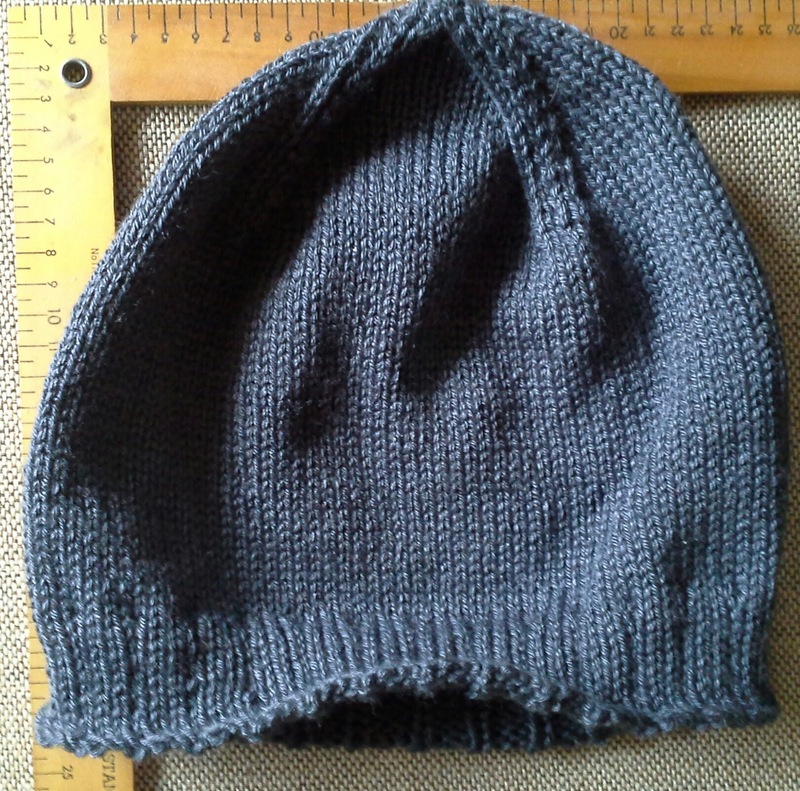 (until hat measures: 9.5, 11, (12, 13.5), 14, 14.5cm, from the cast-on edge). The Quarter Crown Hat (please see these detailed instructions for clarity- I dilute them down to suit me). Put all but last 19, 21, (23, 25,) 27, 29 in hold. -1 eee 2R with extra ONE st on outer ends. 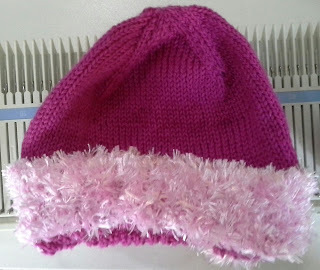 Just make sure that you leave enough yarn when starting the next section to sew in both ends, I left one of the needles on that first row to make sure I didn't have 2cm, oops!!! and 4sts left on the middle two. 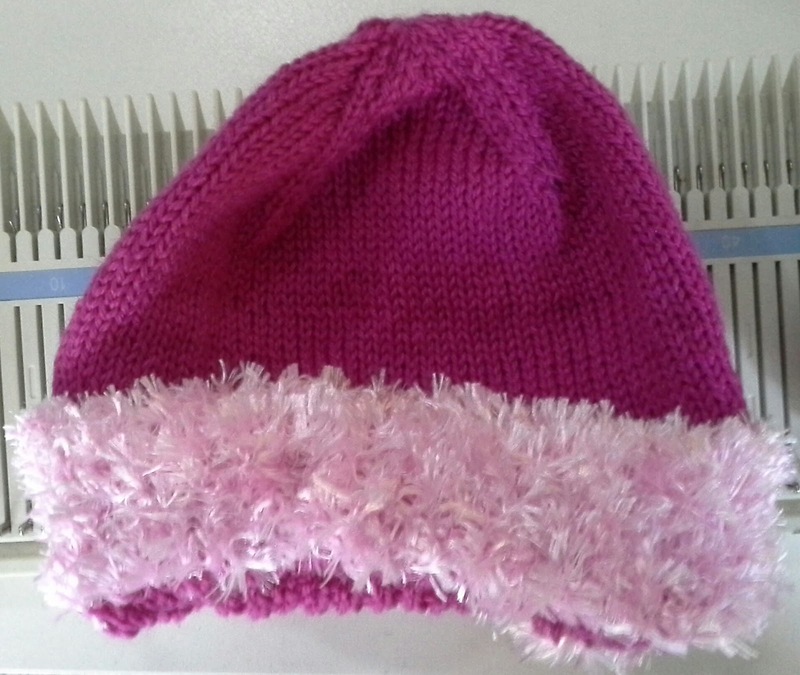 Next two sections are 18, 20, (22, 24,) 26, 28 sts, reduce and at the same time, SAYG inside seams. Last 19, 21, (23, 25,) 27, 28 as first, but the last three sts are on the LH side. All sizes: 18 sts remain, leave a tail to pull in remaining sts and sew seam. Thread the 18 sts with tail end of yarn, sew seam, weave in ends. You've been busy! Thanks for all the good sizing info. It takes a lot of work to perfect all those sizes. Thanks, I was lovely of Kate to allow me to share her workings.